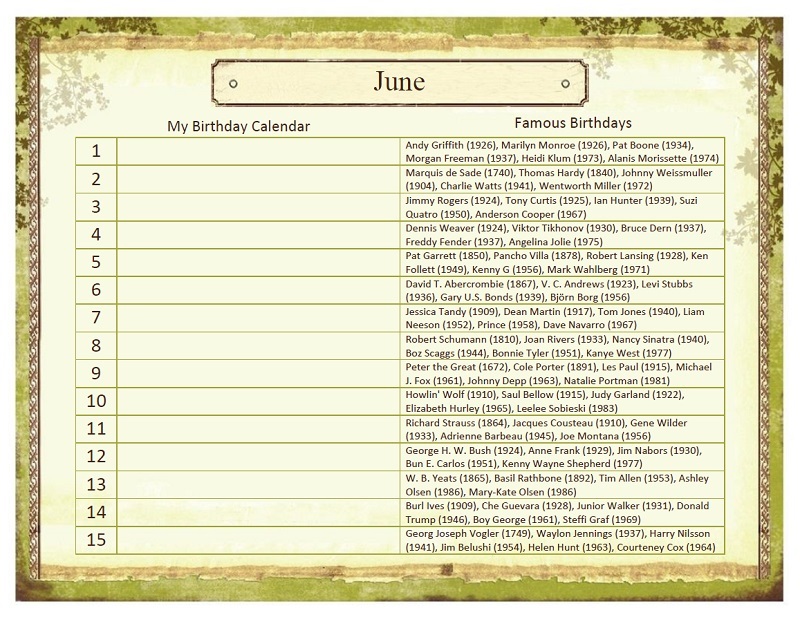 ﻿ My Birthday Calendar: Family, Friends, and Famous Birthdays! Family, Friends, and Famous Birthdays! "Happy Birthday Bob! Say, did you know that you have the same birthday as John Dillinger, Meryl Streep, Cyndi Lauper, and Dan Brown?" 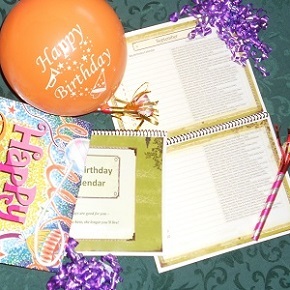 Now you can write down important birthdays on this month-by-month birthday calendar. 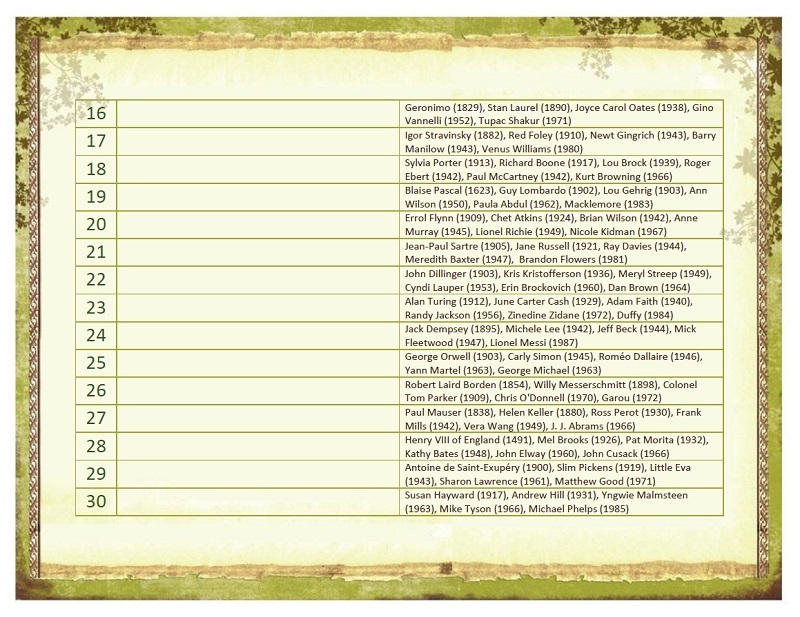 The calendar also lists famous birthdays for each day of the year! When you wish someone a happy birthday, you can also entertain them with what famous birthdays are on their special day! You will be so pleased with this fun and practical calendar. 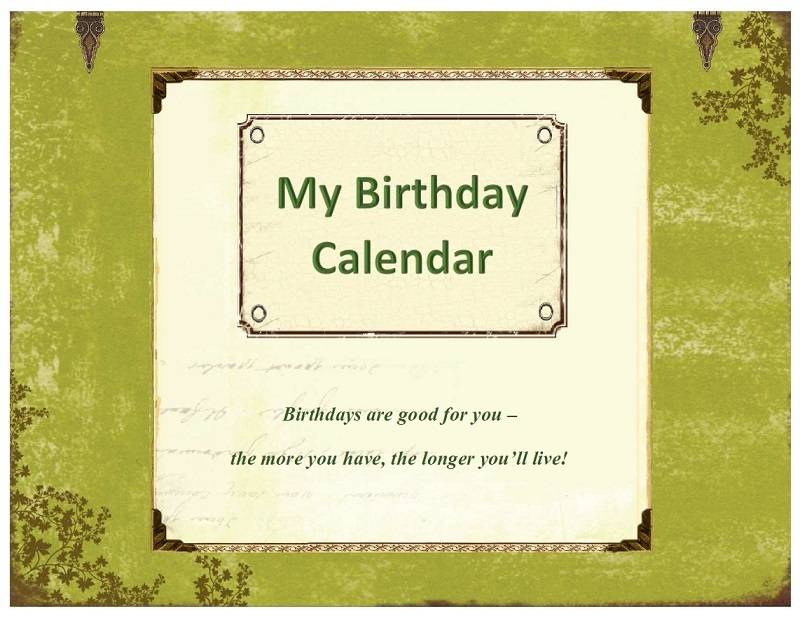 My Birthday Calendar is an attractive, colorful birthday calendar printed on glossy, high quality paper. It has a handy spiral binding that allows the calendar to stay open on a page, or hung on a wall through the predrilled hole. It is a perpetual calendar: it is not specific to just one year. It will serve you well for many years to come!